Percussionist Matt Cook and composer Ellen Reid have known each other since their days as graduate students at the California Institute for the Arts (CalArts) in Santa Clarita, and have been regular, close collaborators ever since. Reid is in residence at National Sawdust this season; last December the Los Angeles-based artists crossed paths in Williamsburg, when Cook played Reid’s music during a memorable three-concert visit by LA-based ensemble wild Up. 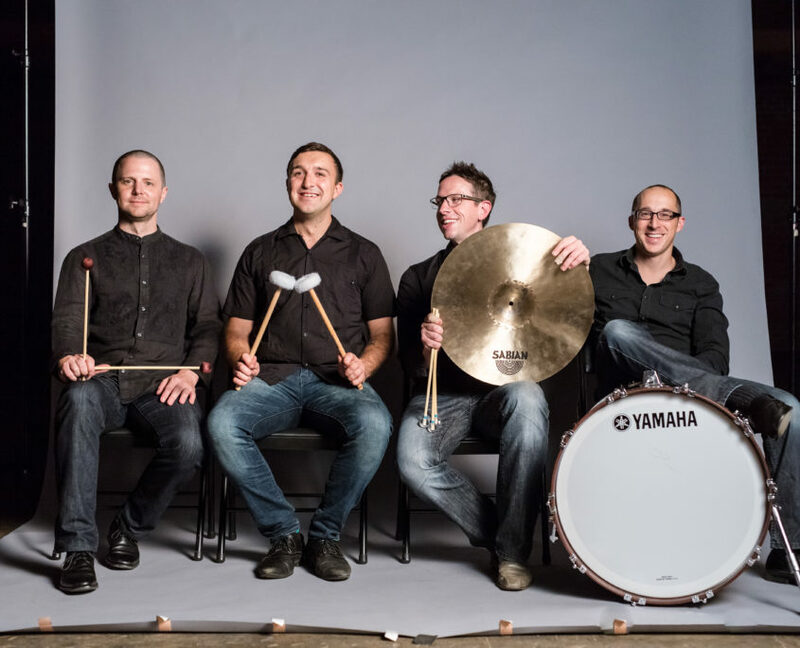 This week brings another east coast rendezvous, when Los Angeles Percussion Quartet (LAPQ) – the Grammy-nominated ensemble of which Cook is a founding member – performs Reid’s Fear | Release during the group’s New York debut concert, at National Sawdust on June 1. The composition is featured on the quartet’s third album for the Sono Luminus label, Beyond, due June 16. The program will include further works from the album, along with surround-sound demonstrations and a virtual-reality video that places audience members in the center of group members Cook, Justin DeHart, Cory Hills, and Nick Terry. In a recent conversation at Reid’s Ditmas Park studio, Reid and Cook discussed past history, current and upcoming activities, and what you might expect if you attend the LAPQ concert. MATT COOK: What has it been like, going back and forth between L.A. and New York, L.A. and New York, L.A. and New York? ELLEN REID: I find it really invigorating. I find that there’s kind of a shot of energy when you get to a place that I really get to ride on, and it’s always inspiring to see what kind of work is happening in the different cities, and to connect with people about what’s making them curious and what’s making them go. COOK: Do you have kind of a different experience in L.A. and New York? When you go to L.A., do you see your community responding to their art making differently than your friends in New York? A lot of the New York people are even transplants, right? A lot of the people that I know here, very few of them grew up in New York, and they kind of bring their experience here. I just wonder, with you going back and forth, if you see a real difference in the kind of art making in the two communities? REID: I think that you’re inspired by your surroundings, and in that way, the work in the communities is different. In L.A. I find that there’s more interest toward noise and toward space, and toward exploration rooted in things more like Lou Harrison, if you’re thinking about percussion, or Partch, this kind of west coast thing, where the east coast still feels more centered around minimalism, still exploring ideas around that, and tone, versus noise. COOK: That’s a great way to put it. I’ve observed some similar things in terms of the kind of people who write for LAPQ: how they treat sound differently, and what is the end result. And you’re right, there is a lot more space, generally, in west coast writing right now. REID: And this album is cool, because we get a lot of it all. So maybe you could talk about how you hear that in the different pieces on the album? COOK: That’s right. LAPQ has an album coming out on June 16, called Beyond. This is the first time that LAPQ has tried to branch out. The first two albums were very specific to the west coast, and to not local composers, but regional. REID: Who were the main ones? COOK: Like Shaun Naidoo, and Jeff Holmes, and Joseph Pereira. And they have different voices, they certainly don’t sound similar, but it is a very west coast style in general. And I think with this album, what we were trying to do is branch out and explore a larger community – and kind of just asking, what is a community, really? Is it geographical? Or is it who we’ve become friends with, and whose music inspires us over time? We have five composers on the album. Yourself, Ellen Reid. We have Daniel Bjarnason, who is living in Iceland and has a lot of activity in Los Angeles; he just curated the [Los Angeles Philharmonic’s] Reykjavik Festival and he has a lot of ties in town. Chris Cerrone lives in New York, but he’s also had a lot of activity in Los Angeles; he just wrote a piece for the L.A. Chamber Orchestra, but he also wrote a big opera called Invisible Cities, and that’s when I first heard about him and got inspired by his music. 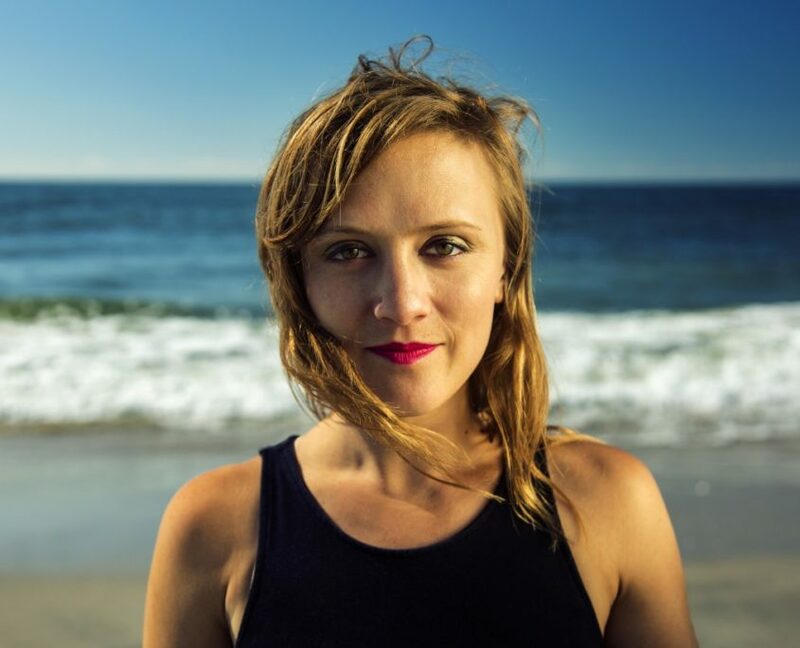 Anna Thorvaldsdottir is another Icelandic composer that’s doing a lot of great work right now, and one of the LAPQ members, Justin DeHart, went to college with her at UCSD – so, San Diego – and got to know her really well there. And then the last composer is Andrew McIntosh, who Nick Terry and I have collaborated with a lot over the years; I’ve played on some of his other albums and some of his other pieces, and he’s in a band with me, wild Up, so we’ve gotten pretty close over the years. His music is very spatial, very meditative, in a sense, where I think someone like Daniel Bjarnason’s [music] is not more pop, but it’s more hard-hitting. So it’s been interesting getting to know everyone’s work through us. REID: And how did they work together on the album? COOK: I think all the pieces complement each other, because they’re really different, and they’re really sincere to that composer’s experience – of their music making, of their life before meeting us. Chris Cerrone’s piece is about different chapters of his life, and that’s very different than the chapters in Anna’s life, which are more about landscape and texture and seeing the beauty in nature. What was it like writing your piece for us? What was your experience when approaching writing for percussion, or writing for an album you know is going to be a melting pot of people and styles? REID: I didn’t really think about the piece as part of the album when I was writing it; I thought about it as something very specific for LAPQ, and kind of put that at the center of the writing. I knew when I was writing that it was going to be in surround-sound, and that using that image in my mind as I was writing helped to structure the orchestration of the percussion instruments with each other – thinking about what would be exciting to hear reflected around the space, what kind of pairings of instruments would work well in that kind of spatial set-up. COOK: That’s great. I think out of all the composers on the album, we had the most collaboration with you. You were experimenting with sounds, you came to rehearsals, we sent clips back and forth, and I feel like it’s really something new. There were several techniques that I did in your piece, like scraping a screw on the side of a vibraphone or glockenspiel, and all these textures that you created just through the collaborative process. And I think you also took a lot of time in thinking about why each of us plays the way we do, and what we like [in] playing percussion, so I think it was very tailored to us. REID: Totally. Before we started, I had everybody in the group send me a list of what they were interested in exploring, as well as pieces that they had seen recently that really spoke to them, just to kind of wrap my mind around who these artists were that I was working with. I knew everybody as people, and I’d seen you perform, but kind of wrapping my mind around your imagination was the first step. COOK: We should mention, too, that you and I go way back. We first met in grad school at CalArts – you came the year after me – and essentially right after graduation we began collaborating with each other non-stop. I played on many of your other pieces, your other albums, your films. So it was really fun to have a collaborator like yourself that I’d worked with so much write something specifically for LAPQ. REID: That was fun for me, too – taking it to the next level. COOK: This is the first and only percussion-specific piece that you’ve ever written, which I think is why I thought it would be a great idea to commission you. Normally we don’t commission percussionists; we like composers, like yourself, that work in many different genres. So what else are you up to, non-percussion-wise? REID: [laughs] I think you play on everything, so, yeah, I think you did. COOK: So when you say the piece for the Master Chorale was “interview-based,” is that in terms of the process of writing the piece? What does that mean? I guess I’ve never heard a piece described as interview-based. REID: The libretto is made of collaged interviews. COOK: Interesting. And who are these interviews about? What is this thing? REID: The creative team consisted of the librettist, Sarah LaBrie, and the anthropologist Sadie Randall. I went to three different cities – Memphis, Houston, and Los Angeles – and conducted interviews around different time periods in each city, where it felt like the American dream was palpable and you could almost taste it. So in Memphis, we talked to historians and read historical documents about a period right after the end of the Civil War, when there was a rise of free and wealthy black population in Memphis, and we traced the first black millionaire in the south, a slave who became a millionaire – and what could be more the American dream than that? COOK: And then you try to keep going. REID: Right, the frontier just keeps going. The piece explores this kind of American feeling of infinite possibility, but then also reflects… because if you know the history of Memphis or the history of Houston, you know that the oil boom busts, and you know that that the leader that we traced in Memphis, the city torched his home after he died. There are different histories that happen, and so you kind of feel this cycle of hope – it’s a kind of meditative exploration of that. COOK: That sounds fantastic. When does that go up, again? COOK: They’ll love it. You know, last time I collaborated with you in concert was actually here at National Sawdust, because you were an artist-in-residence this year. So we played it with wild Up, that was the group that came, and that was the first time that I even saw National Sawdust. It was an incredible experience. We played a lot of pieces with voice; would you say that that’s a large part of your concert identity right now? Like, you’re going through a phrase of exploring different kinds of vocal writing? How did you become so integrated into the vocal world? REID: That’s a good question. One of the first pieces I wrote that got traction in the classical world was an opera called Winter’s Child, that Yuval [Sharon] at The Industry did a workshop of, and then Beth Morrison in New York did a workshop of. Because of that piece, which features a women’s choir as well as vocal writing, as well as ensemble, led people to be interested in my work. And because of that, I got a lot of commissions, actually, writing for only female voice. So I’ve kind of stopped at this point accepting commissions for only female voice – I had to. I wanted to do more than that, and I didn’t want to feel pigeonholed. I’m more curious about other things. So it felt more truthful to explore other things, like this percussion quartet or a piece for LACO. And then I have to be really clear with the commissioner: There will be no voice in this piece. COOK: It’s kind of similar with percussion. I started with classical percussion, but that led me to so many genres. But then, when you play, let’s say, world music or jazz or avant-garde contemporary classical music, then you get asked to do just that. Even though I maybe want to go on a pop tour and play with Björk or something, you get known for something, and you have to draw the line to fulfill yourself as an artist. REID: Well, this is one thing that I love about you: I think one of the first things that drew me to you was your deep understanding of and curiosity about many types of music, and your desire to do them, and do them well. I’ve seen you grow, doing that, and that’s something that brought you to CalArts, and it’s something that really feeds you. Percussion is a great way to do that, but how have you seen that growing? REID: That was one of our first collaborations, actually. It was with choreographer Sheetal Gandhi, and it was Indian-based music. MC: Tabla and frame drum and vibraphone, yeah! And I think that’s where our tie to CalArts comes back, in that you are also very well versed with multiple cultures. You’ve lived in Thailand… how long did you live there? REID: Two and a half years. COOK: That’s a lot of time to explore that culture and what that music means to them. COOK: Absolutely, knowing that it’s all a lifelong journey. REID: Exactly, every culture is a lifelong journey. So, tell me about this V.R. experience. I mean, you guys, beyond the album, it seems like you’re doing so many things that are really outside the box. There’s a video of you guys playing Anna Thorvaldsdottir’s piece, and you’re really into mixing media. So maybe you could talk about how you’re going to do that at Sawdust a little bit. COOK: Basically, we are very interested in media. Our mutual collaborator Yuval Sharon told me several years ago, if it’s not documented, it’s almost like it never happened. And that was so interesting for me to hear, because of course, I get it, but thinking more about it, it’s like, yeah, that’s how we get our work out there. Living in Los Angeles and touring percussion is very expensive, but what we can do is bring something different in terms of media presence. So one of the things that we’re having at Sawdust is we actually had Laura Manchester, the virtual-reality film director – and she does TV and other things – make a virtual-reality piece about making the album. It’s Chris Cerrone’s recording session, we’re playing a movement of his piece, and she directed this beautiful five-minute video that is the first-ever immersive chamber-music experience in virtual reality. Chamber music has been captured in virtual reality, but from an audience’s perspective. But this time, the cameras are all in the middle of our recording session. So when you put on the headset, you could be looking at Justin playing planks and then you hear a sound behind you, and you turn around and I’m playing vibraphone or Cory’s playing marimba. And you get to feel, I think for the very first time, what it’s like to be in a session with us. It’s hard to describe to someone what it’s like to record an album, but through using this new technology, you can actually be there with us. It’s very popular in L.A. now, just the whole medium, and it’s really exciting to have these kinds of elements to our show that we’re going to be able to show at Sawdust. REID: How are you guys dealing with the surround-sound nature of each piece at Sawdust? COOK: Our whole album was recorded in 9.1 surround sound, and the composers knew that, going in. We planned for this whole immersive experience, not with video but with sound – that was always the idea. At Sawdust, they have an 11.1 surround-sound system, so we’re going to play clips from the album, a couple of pieces, so the audience can really hear how the music was intended to be recorded. So, sounds are coming from behind you, and the sounds that are coming from behind you were actually behind the microphone array. So basically, we set up in a circle around a tower of nine microphones, so the sounds that sound like they’re to your right really were coming from your right. I think it’s a unique experience, because most people don’t have 9- or 11.1 surround sound. COOK: I would like to, too. It’s an investment. Soon enough. So, that’ll be fun. And then also, Andrew McIntosh’s piece we’re going to perform actually surrounding the audience. So we’re going to be on four corners of the stage, the audience is going to go in the middle; it’s going to be as close to surround as possible. It’s a little different than the disc, because if you listen to the album, you’re exactly in the middle of the quartet, where live, when we play Andrew’s piece, the people that are a little closer to one of the stations are going to hear a little bit more of that, because of how sound travels. COOK: Yeah, I think it’s going to be really fun. And Sawdust has one of the most high-tech spaces that I’ve ever played in, in terms of what they can do with media. 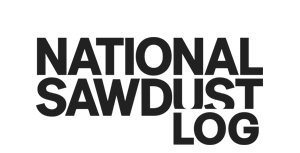 So we’re super excited to have their team working with us on it. REID: This is LAPQ’s first New York show? COOK: That’s correct. This is our debut. REID: As part of the group, what would you want an audience member to understand about LAPQ from seeing this concert? COOK: That’s a good question. I think that what the album represents to us, and what I hope an audience comes away with, is how expressive percussion can be. Obviously percussion is in every culture around the world, for different reasons, but a lot of it is rather “drummy” – or, as you said, [the] New York aesthetic right now is more minimalist, and that’s obviously very expressive, too. But what we’re trying to do is tell stories through sound in a little bit of a different way. I would love the audience to hear and appreciate how each composer deals with textures to actually tell a story. It’s not just experimenting with a bunch of sounds, but it’s all these sounds that make an arc in each of the pieces that are so beautiful. Album review: Jürg Frey, ephemeral constructions Playlist.